When you’re contemplating or already engaged in the process of going through a divorce, ensuring that you work with the right divorce attorney is crucial. While you may be considering contacting attorneys referred to you by family or friends, perhaps you also found some law firms online that practice divorce law locally. But how do you know that they will care about your case, and ensure that your rights are protected throughout the process? It is crucial to find out if your attorney has specifically been practicing in family law, and if so, how many divorce cases they’ve handled. Depending upon the circumstances of your case, have they also worked in related important areas, such as child custody, property and asset distribution, etc.? If they have handled numerous divorce cases, do they have a particular clientele in these cases, such as focusing on fathers’ rights, etc.? Solo Practitioner or Collaborate With Other Attorneys? Whether or not the attorney is a solo practitioner, works in a small firm, works in a larger firm with a paralegal, etc. can also sometimes affect your case. How Do You Assess Fees? Is There A Retainer? When it comes to working with any attorney, it is crucial that you have a clear understanding of what the fee structure is, how billing is assessed, whether there will be a retainer for your case and if the retainer is refundable, etc. For many people, how long their divorce will take is of paramount importance, especially for couples who are concerned about the potential impact that the divorce might have on their children. Some couples who are contemplating a divorce are interested in alternatives to litigation, such as mediation and/or collaborative divorce, especially if it can help facilitate a resolution more quickly, all while costing less. However, if you are interested in these options, you want to make sure that the attorney you are considering to hire actually offers them. During this difficult time, just having someone who is knowledgeable about the process explain what procedures to expect can be reassuring and ease some of the stress sometimes associated with the divorce process. How long does the attorney typically take to get back to his or her clients when they have questions, and do they have any questions for you? 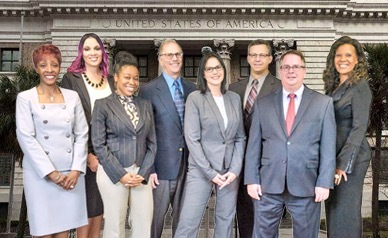 The Tampa family law lawyers at HD Law Partners provide knowledgeable, compassionate, experienced, and dedicated legal representation. Contact us today for a free consultation and learn how we can help you through the divorce process.